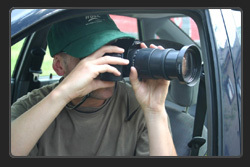 There are many reasons why a client may require a private surveillance investigation to be carried out, weather it be to gather evidence on a Cheating Partner, theft or vandalism of property or an Employee neglecting the job the were contracted to do, at Paramount Investigations one of our Private Investigators will be able to provide the answer to resolve any problem the client may have. 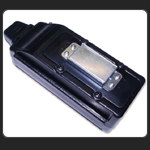 Paramount Investigations are able to install a small GPS (Global Positioning System) data logger in a vehicle. This device does not offer the possibility of Real Time tracking, but instead records the places and times of where and when the vehicle has been. Our goal simply stated is to meet a standard of excellence for surveillance that compel our clients to call upon Paramount Investigations when they have a surveillance or investigative need.